Providing a superb combination of songs from the 1930's, to the traditional folk song and English/American contemporary music, giving concerts that will appeal to almost every audience. Ruth and Ken go out as a duo and then a couple of short tours a year, collaborate with their old friend Dave Walmisley as 'Risky Business'. 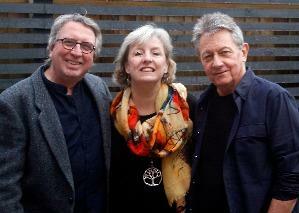 The folk and acoustic scene have been graced with the company of the trio for many years.